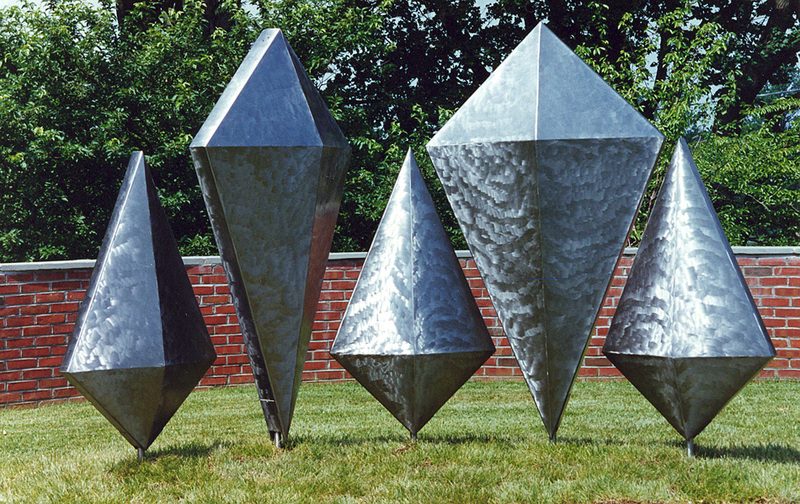 Five diamond-shaped objects rotate slowly and independently around a vertical axis, as if floating in air. Diamonds rotate by the force of the wind and are positioned closely so as to nearly touch each other, symbolically representing a family of two parents (large diamonds) and three children. On loan to Strathmore Hall Art Center, North Bethesda, Maryland.